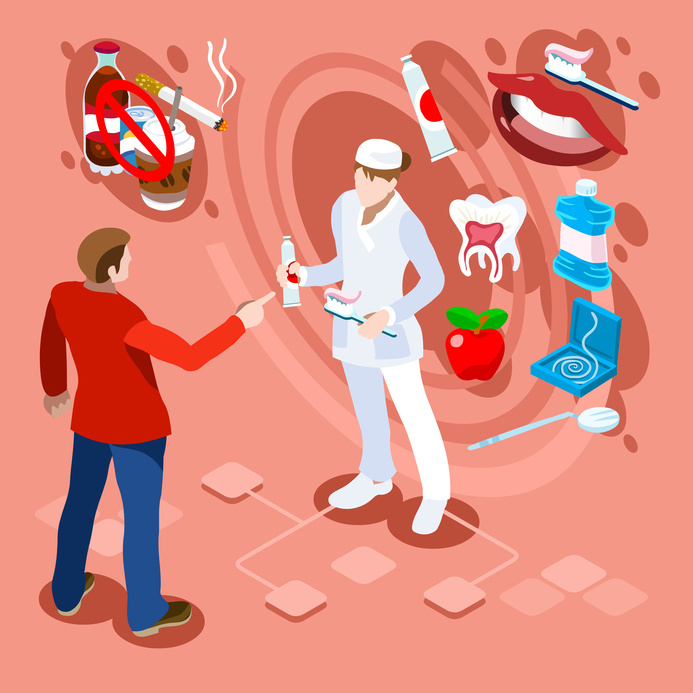 It may seem paradoxical but even when people say they are concerned about the state of their teeth, they tend to neglect basic dental care procedures like brushing and flossing that can prevent major problems. Almost one third or 32% of people surveyed said that they were concerned about the appearance of their teeth. And nearly one in five or 18% said that they were so self conscious about their teeth that they tried to hide them in photographs. At the same time, a surprisingly large number people suffer from dental cavities and gum disease. By the time they turn 17, as many as 78% of people have cavities. And nearly three fourths, or 74% of Americans suffer from gum disease, also known as periodontal disease. In addition, many people have teeth that are chipped or discolored. Luckily dental technology has advanced to the point where even the most serious problems can be fixed. Teeth can be whitened, a broken tooth can be fixed with crowns or dental implants, and veneers can restore the pearly shine of healthy teeth. As many as 15 million people already have had missing teeth covered with crown and bridge replacements. Crowns, bridges and implants are substitutes for old fashioned dentures, which were a very imperfect way to deal with the problem of missing or broken teeth. Dentures were uncomfortable to wear, and even made eating difficult. The new techniques used by dentists eliminate these problems, making it possible to eat healthy foods like fruits and vegetables again. This improves the digestion and overall health as well. Dental implants are a new technique that is growing in popularity. About 3 million people already have implants, and another 500,000 get implants each year. In fact by 2018, the U.S. market for dental implants is expected to grow to reach $6.4 billion. Unlike old fashioned dentures that were ill fitting and uncomfortable to wear, contemporary crowns, implants and bridges are both comfortable to wear and have a highly natural look. Dentists can use these to repair and replace missing or broken teeth. Crowns or caps are used to cover fractured or broken teeth, preserving the remaining tooth structure and restoring your attractive smile. Bridges are also used to repair or replace missing teeth. Dental care has progressed far beyond the uncomfortable dentures your grandparents used to wear. Nowadays dentists use crowns, bridges and dental implants to fix and replace broken and missing teeth. These restore group capacity to eat and enjoy all kinds of foods, while giving your teeth a natural and healthy appearance.